Thus is the most AMAZING book I’ve ever read in my whole entire life. It teaches you a lesson about what kind of situation you can get in from jealousy. It also tells you about that it doesn’t feel any good to hurt someone or their relationship with someone who the’re really close with.So keep up the SPLENDID work. I love it. Hilarious after reading only half I couldn’t wait to keep reading at home. Teaches you a great lesson and will be a favourite remembered for years to come! Now you know what I was talking about!!! i love this book so much! ive been reading deborah Ellis books for a long time and i love them! the way she connects the dots and describes the characters feelings is fantastic! this book is recommended to everyone! This book totally got my vote! There were some parts in the books where I totally felt like cursing Mrs.P and yell my head off at Nick for leaving Dani behind with that old lady on the airport. I really love this book. It teaches you that not only kids get jealous. It also teaches you that most people are superstitious and they are not bad. Good friends always come in handy! You didn’t forget about Mrs.P, Nick and Costa, did you? Bye bye Evil eye got my vote too. It is one of the best books i’ve ever read. I recommend this book to people who like to read books in Greece because in some parts it shows some greek cultures what they do. In some parts I felt like screaming to Mrs. P and Costa too. 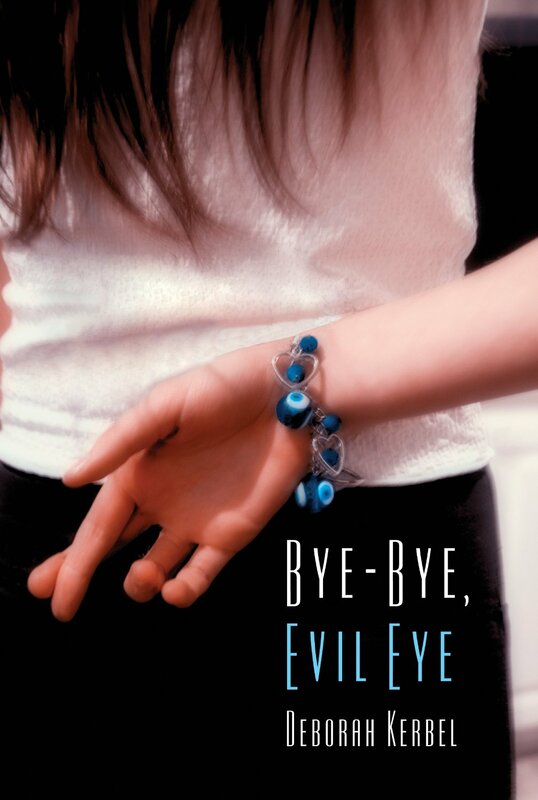 I read Bye Bye Evil Eye again and me and my friends couldn’t stop laughing at Costa’s utterly disgusting romantic words. the funniest one was trelara mou which was turned into ”trailer moo” by Dani!!!!!!. This book is amazing,thrilling and very adventurous.